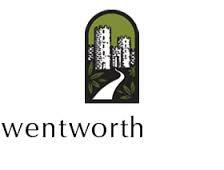 Wentworth Castle Gardens Due Diligence Reviews project. Tourism & Visitor Economy from The Leisure Consultancy Limited - Professional solutions for the leisure and tourism industry. A Business Plan was prepared to underpin the proposals to enhance Wentworth Castle Gardens through the development of the Grade II listed Victorian Conservatory and wider World at Wentworth project. The work involved a review of the overall concept for the development; preparation of an outline marketing strategy; a review of future management and operation; identification of future demand generators; and preparation of financial projections for the project. A detailed Marketing Plan supported the Business Plan focusing on future sustainability and growth. We can now report that Wentworth Castle has also been successful in its Stage II HLF application following the work of the Leisure Consultancy and wider project team.